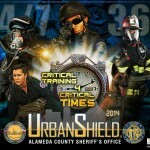 Urban Shield is a continuous, 48-hour Full Scale Multi-Disciplinary Homeland Security/Disaster Preparedness Exercise hosted by the Alameda County Sheriff’s Office, with the support of the Bay Area Urban Area Security Initiative (UASI), and more than 200 local, state, federal, international and private sector partners. This document includes guidance on how various disciplines can use and integrate the I/I Function while adhering to NIMS concepts and principles. 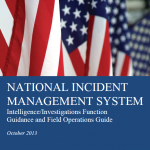 It includes information intended for the NIMS practitioner (including the Incident Commander/Unified Command [IC/UC]) that assists in the placement of the I/I Function within the command structure; provides guidance that may be used while implementing the I/I Function; and has an accompanying Intelligence/ Investigations Function Field Operations Guide (I/I FFOG). While this document provides an example of the I/I Function at the Section level, the IC/UC has the final determination of the scope and placement of the I/I Function within the command structure. 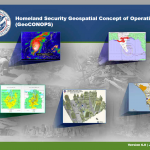 The guidance provided in this document is applicable for both domestic incidents that use conventional unclassified information (e.g., open source information, criminal histories, medical records, or educational records) and terrorism incidents where information is often classified and requires the use of national intelligence capabilities. In a rather bizaare turn of events, representatives of FEMA have again contacted us requesting the removal of a document from out site. 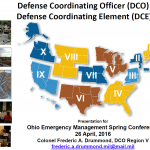 Previously, we were contacted by FEMA regarding the “National Level Exercise 2010 (NLE 10) Exercise Overview” which we had posted more than seven months prior. 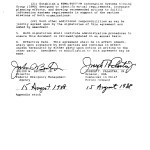 This time they are requesting that we remove one of the first documents that we ever posted in May 2009. 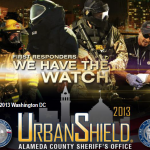 The document is a brief presentation discussing Electronic Designation and Validation of Federal/Emergency Response Officials (F/EROs) in support of National Preparedness in the National Capital Region. In fact, it has only 25 slides in its entirety.